In 2010, an accident occurred when a Toyota Camry accelerated unintentionally. The accident killed two people who were in the Camry and injured two others. The family filed a lawsuit against Toyota claiming that the crash was caused by a defect in the vehicle’s design that caused the car to unintentionally accelerate out of control. Unfortunately, this crash was not the only one that occurred due to Toyota’s unintentional acceleration problems. In fact, hundreds were hurt when their own Toyota vehicles experienced the same problem. The vehicles were recalled and Toyota has already agreed to a settlement of more than $1 billion to settle economic losses incurred by Toyota owners. The $1.1 billion settlement did not resolve wrongful death or injury claims. Our Boston car accident attorneys want all drivers to be aware that Toyota has moved forward with the process of resolving unintended acceleration claims in which people were injured. 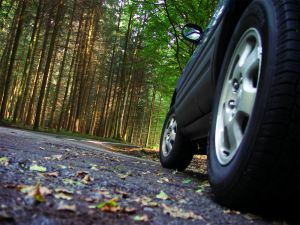 It is also important to understand how the car company’s settlement of one case can impact other pending lawsuits. According to Auto Week, details about the recent settlement reached by Toyota in the unintended acceleration case have not been released. However, the fact that the case settled is important because it means that no court precedent has been set for the other pending lawsuits against Toyota that are expected to occur. This case, prior to settling, was expected to go to trial in February. It would have been the first lawsuit to go to trial involving a wrongful death and injury claim. This is important because the case would have been the “test case” for the other pending injury lawsuits. In situations like the Toyota unintended acceleration cases, there are many people who suffered similar harm as a result of a similar problem. When all of these people sue, the first case that goes to trial is very important. When the first case occurs, the attorneys and plaintiffs need to prove that the car company was responsible for the injuries. In other words, the attorneys and plaintiffs in the Toyota case would have needed to prove that there was a design defect or a problem with the Toyota that led to the unintended acceleration and the injuries. If the attorney in the test case is successful in showing Toyota was to blame, this sets a precedent for future cases since the courts have already found Toyota liable. Further, when there is a successful test case — especially if there is a large jury verdict — it can prompt the carmaker to be more generous in settling other cases. The initial test case, in other words, can create a precedent for what someone who was injured might receive in trial and it can make it easier to resolve other pending lawsuits without every case having to go to trial individually to make a determination on liability and damages. Since the case did not go to trial, however, there is no test case at this time to set the precedent for what will occur in future lawsuits. Toyota may continue to chip away at the claims through settling, or a case may eventually make its way to court so the issues will be dealt with in the open by a jury.